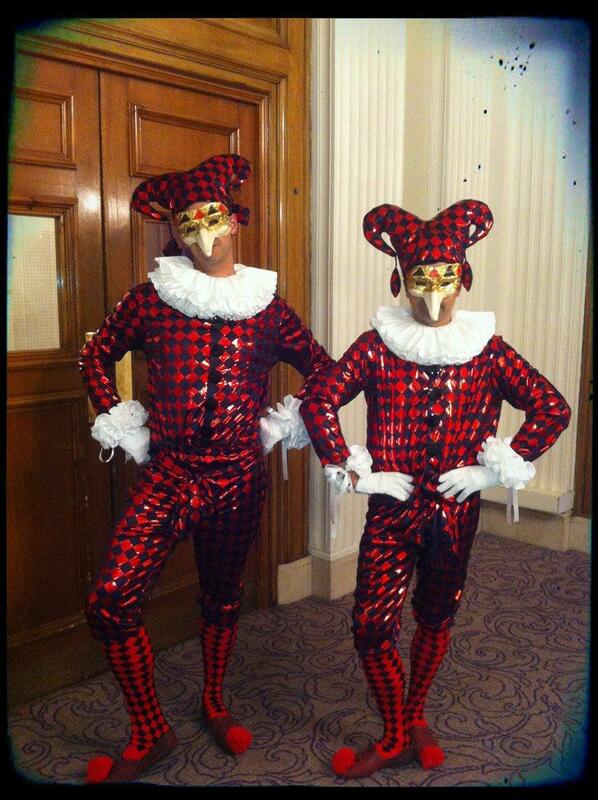 The Harlequins – Master exponents of the comic arts and are specialists in silent clowning, mime and nonsense. 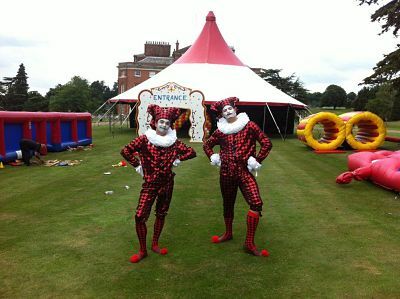 These guys are great for corporate events, but also British and Medieval themed events. Available in Masquerade Venetian Masks and other bespoke costume. The Harlequins can perform 3x 30 or 2 x 45 minute walkabout sets. A secure changing area and light refreshments. You guys rock! You were definitely my favourites on the night! My very first e-mail of the day is to say a BIG thank you to you and your entertainers for the weekend! Can you please pass on my sincere thanks because they were all brilliant and helped me deliver a fantastic event!